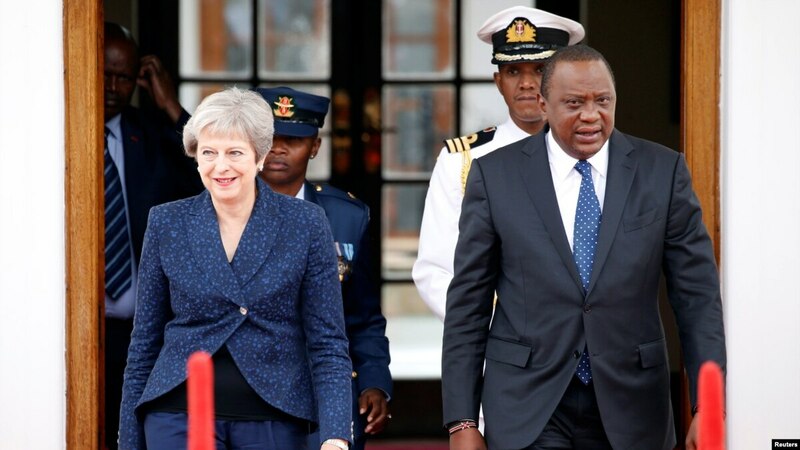 British Prime Minister Theresa May completed a three-country tour of Africa on Thursday with a visit to Kenya. Mays journey aims to improve Britain's economic relations with the continent before her country's exit from the European Union next year. Theresa May is the first British leader to gain a foothold in Kenya, a former British colony, since Margaret Thatcher in 1988. In Nairobi Thursday promised to build stronger economic and trade relations with the East African nation. "As the UK prepares to leave the European Union, we are committed to a smooth transition ensuring continuity in our trade relations with Kenya to ensure that Kenya enjoys duty and quota free access to the UK market and builds on our strong trade investment to give our businesses and our consumers even more opportunities, "she said. Previous i On their journey, May promised 5.2 billion Dollars for supporting the African economy. Kenya is hungry for this type of foreign investment, which can provide jobs and opportunities for the growing population. Africa Policy Institute head Peter Kagwanja said Kenya offers great opportunities for UK companies. "I think Britain wants good relations with Kenya as a market, an expanding market." Kenya is now 50 million people, it is in a larger market of about 250 million people from the Great Lakes in South Sudan to South Ethiopia to North So it's a huge market, it's an epicenter of a huge market in East Africa, and Britain wants to be a competitor in that, "he said. Gerrishon Ikira, an international business delegate from the University of Nairobi, Britain and Africa, needs each other. "So it is to the benefit of the British and African countries to understand each other and see which side of the bread is buttered for us," said Ikira. "How can we have a win-win situation?" May's visit to Kenya completed a three-day trip that included stays in Nigeria and South Africa.